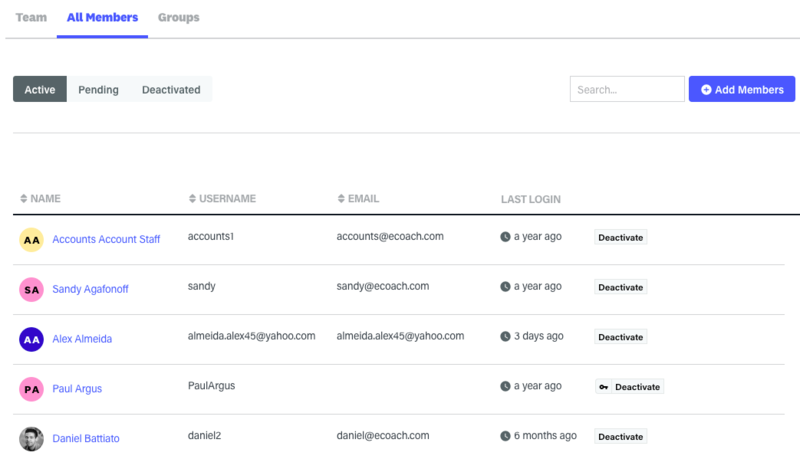 To view Departments, Groups, individual members as well as their view or manage their permissions, all can be accessed easily from the Manage page. Read on to gain a full understanding of the Manage page and the access you will have to each level within your workspace. Workspace Managers are admin level members with the capability to manage all aspects of the workspace including inviting new members to the workspace. Finance Managers have access to payment options, and are sent all correspondence regarding billing and payments. 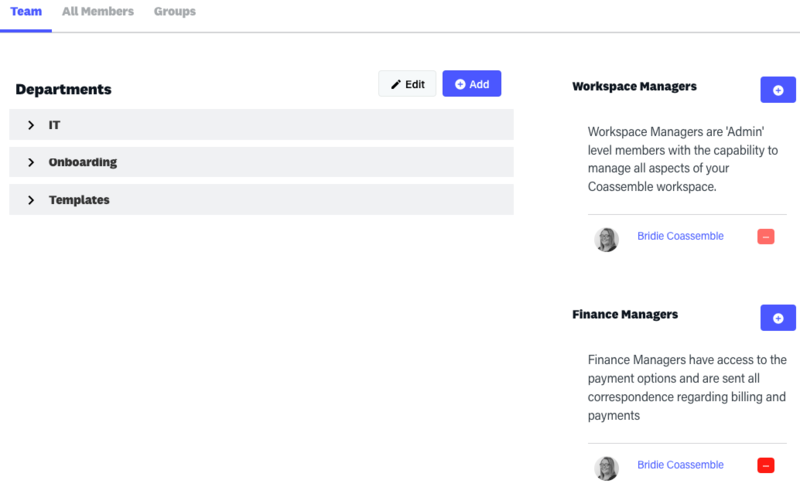 This is useful for larger organisations where the accounts team doesn't need to be involved in the platform, and/or where the Workspace Managers don’t need to be involved with billing and payments. Departments can either be created or edited from this page. View the individual Department members by expanding the Department heading or add a new team member using the Add Team Members button. Courses are created and assigned to a specific department to for content to be segregated dependent on who is required access. To access all members that are enrolled in to the workspace click on the All Members tab. Left to right you are able to view the participants Name, Username, Email address and when their Last Login. Active participants are participants that have activated their account and accepted their invitation to the workspace. Accessible on the far right for each participant is the Deactivate button. This will remove access for the participant to the workspace. Pending participants have had an invitation sent but are yet to accept their invitation or have had the invitation bounce. From the far right side the participant can have their account Deactivated, have their Activation Link accessed or have their Invitation resent. Deactivated participants have previously had access to the workspace but have been manually deactivated to remove access. From the right hand side the participant can either be Reactivated which will revive their access to the workspace or be completely deleted from the workspace entirely. 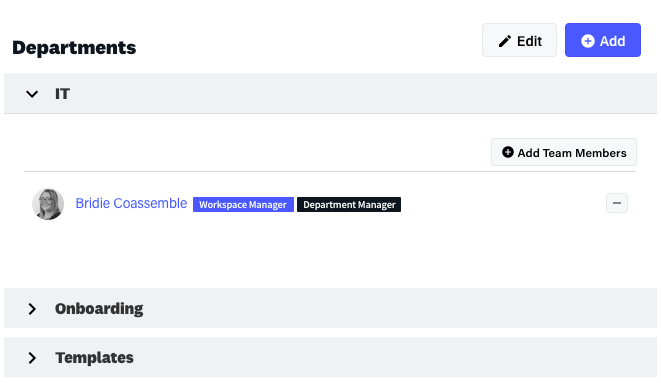 Similarly to departments, Groups can be created or edited from the Groups page. 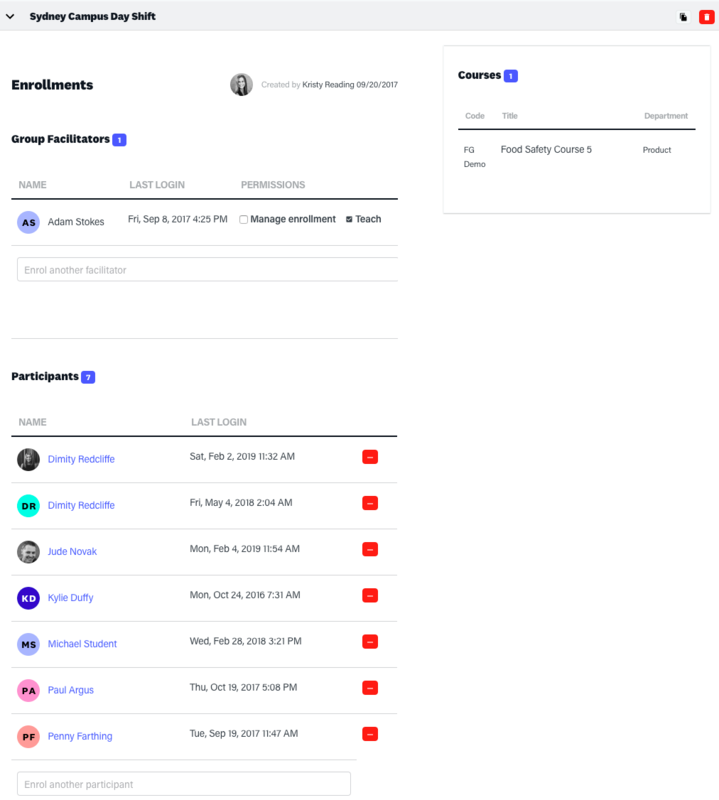 Group Facilitators and Participants can be added or removed with individual permissions for Group Facilitators able to be altered from this view as well. You are also able to view what courses the Group is enrolled in and the departments the courses belong to. 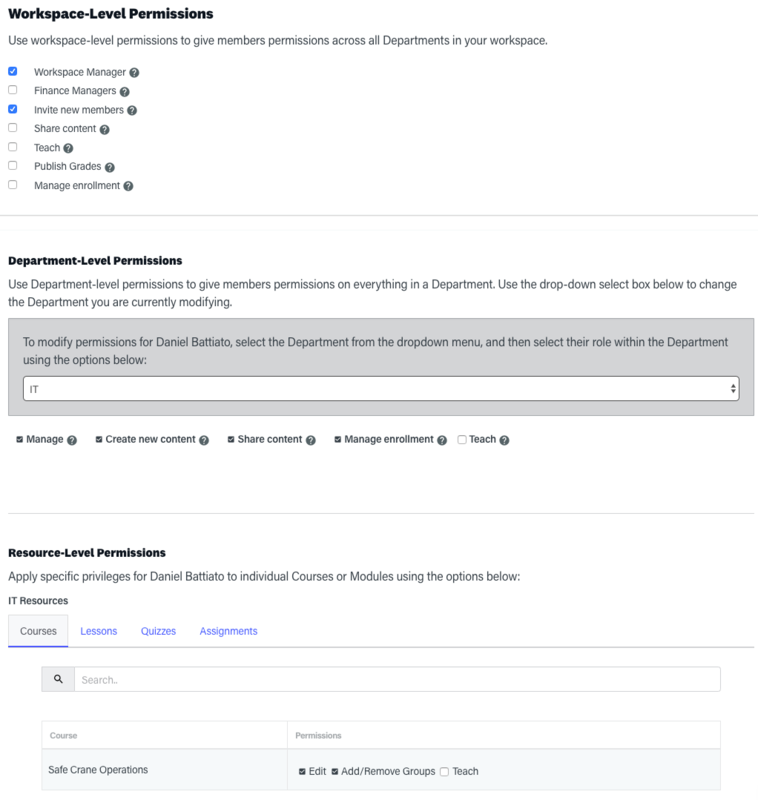 From within a department or from the All Members tab, a view of the individual members' permissions at workspace, Department and Resource Level can all be viewed, added or removed using the radio buttons and are automatically saved. For more detail on Permissions view this article.